Does Health Coaching Really Work? so finally, you will start to see and feel results! You’re only human! I know that, so take a deep breath and let go of feeling you need to be perfect! Yes, really….let it go! I don’t think anyone intentionally goes off track. I know I didn’t when I got sick. I just thought, ok…here’s a little setback and I’ll be back on my feet again soon. But after months (and then 2.5 YEARS) went by, I knew that something had to change. Looking back, it’s hard for me to understand why I waited so long to look at my food and actually start changing my diet. I could have saved myself so much suffering! But no one told me. The doctors never said a word about food, and I didn’t know any other way. Now that I am back on my feet and fully healed (naturally), I’m committed to helping others exactly like you get back on track, and stay there. Think of me as your Health Guardian. It’s my job to protect your most important asset (your health!) and to help you not only find the path to healthy living, but to stay there for a long, prosperous and happy life. When you walk a new path in the wilderness, you may need a guide to help you find the way, especially if the trail is difficult with blown-down trees, muddy slopes, or loose rocks. Someone who knows the trail can get you through safely and much more quickly than had you tried to go on your own. In the moments where you want to quit, your guide is right here to encourage you and slow down the pace so you can keep going. Together, you summit the mountain. Imagine how proud of yourself you will feel! And the best part….you earned the view! A hiking story on a Health Coaching page? Note to your unconscious mind: this is called Neuro-Linguistic Programming (NLP)….and it works, so let’s just go with it! Hiking the 2167-mile Appalachian Trail….yep, that’s a challenge! Did you ever hear of the Appalachian Trail? It’s a 2167-mile trail in the wilderness of the United States that runs from Georgia to Maine. Several years ago, I hiked it. No, not just a section. The WHOLE thing. I left Springer Mountain in Georgia on 5 March and I summited Mt. 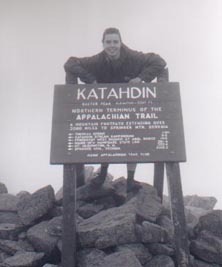 Katahdin in Maine 5 months and 9 days later, completing a goal that only a few thousand people can claim. In fact, less than 10% of the 3,000 people who attempt to do this trail every year actually finish. In order to do the trail, you have to carry all your food and gear, drink water out of streams, sleep in a tent every night and ration your food every 7-10 days until you can re-supply. You are essentially walking a marathon every day over mountains in all weather. Eventually you realize that your mental strength is your key to success. This is definitely an achievement that’s on many people’s “bucket lists,” although I did the trail well before all those fancy Hollywood terms even existed. In a few words, it’s really hard to sum up what that experience was to me, but I can say this: 1) It was the hardest and most rewarding thing I ever did and 2) the best thing that happened to me was not seeing the sunsets or having amazing moments in nature….the best thing that happened to me was that I did not quit. 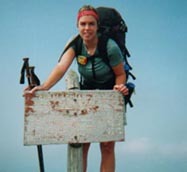 The reason why I’m sharing this with you is because the Appalachian Trail represents your health journey. It seems like an impossible task when you stand in Georgia and realize that it will take you 5 million steps to get to Maine, just like it may seem impossible for you to find time and effort to start living a more balanced and healthy life. And believe me, once you make the decision to hike the trail, it doesn’t get any easier. No more rainbows and butterflies like you thought it would be…instead you are walking in mud, surrounded by mosquitos, and it’s always either too hot or too cold. When you start to eat better, people don’t suddenly become nicer to you – again no butterflies and rainbows! You’re still in the real world and problems are always there. But now, you can manage them better because you are mentally stronger. You have better ability to deal with stress and you can remain more positive and loving, and your reaction changing is a game changer in terms of the quality of your life. I remember one week on the trail that was really awful, with rain and storms all week. Every step was a struggle. Then, I looked at the map and I saw how minuscule that distance was and how I had literally thousands of miles ahead of me. Believe me when I say that I wanted to quit in that moment! On the trail, you don’t see the progress day to day…but after a few weeks and then months, the distances start to add up. And guess what? It is the same exact thing on your health journey! You cannot eat one apple or green juice and start to feel amazing. But, put a good program in place and after a few weeks, your clothes are looser. After a few months, you’re throwing out old clothes that no longer fit and you have more energy to get out there and enjoy life. It takes time, and all you need to do is stay on the trail and not quit! I made it! If I achieved my goals in hiking and in health, YOU can too! I could go on and on because the analogies here are endless…but what I want you to know is that no one believed in me. I was a woman on my own hiking a trail in the wilderness. That’s another story because I started with a guy and he dumped me on the trail after just 1 week, yes,…there is even a breakup drama, or as my Dad called it, the “trail divorce”. People told me I was too clean to hike and that I didn’t have it in me to finish. Yes, people actually said that to my face. Maybe they didn’t believe in me, but I believed in myself. I actually made a commitment to myself that I was not going to quit unless I had to be physically carried off the trail. Once I made that commitment, I never waivered from it…on good days and bad, I was on that trail and that was that. After 5 months and 9 days, I stood on the summit of Mt. Katahdin, Maine and I never felt so proud of myself in my entire life….yes, I did it! Can you imagine that feeling? If an ordinary person like me can achieve such a huge goal, then you can achieve your goals too. The most important part of my story is this: I believe in YOU! The keyword here is: EASY! There won’t be any dehydrating for 4 days, sprouting for 2 days and soaking for another day until you can eat 1 bite! I know you are not a raw food chef. I know you don’t have 3 days to make one meal. And guess what…I don’t either! When you work with me, I teach simple, flavorful, filling and nutritious. But, if you want to change your life, you’re going to need to get comfortable in the kitchen. We might have to “detox” your cabinets and drawers and get better tools for you (a good knife, grater and cutting board make the perfect start). Remember, I am with you every step of the way! Imagine having an expert by your side to tell you all the best tips for making yummy healthy creations – well, now you’ve got it! If we live in the same city (Asheville NC), I’ll be coming over to work with you in person. If we work via Skype, I’ll be right there on camera to guide you. You’ll learn about the importance of variety in your diet and how to incorporate healthy proteins, fats and carbs (yes, healthy carbs!) into your diet without fear of gaining weight. If you’re making food for your family, we’ll find ways to prepare dishes that everyone can enjoy. And if you’re a fast learner, I can even teach you how to make raw sauerkraut at home, grow your own wheatgrass and even make kombucha or kefir coconut. There is no limit on what you can learn! If you have special dietary needs like eating for fertility or pregnancy, eating for sports performance or eating for reversal of disease, I will gear all your recipes towards your individual health goals (aka “bio-individuality”). You might feel a little overwhelmed at the idea of making change and how or where to start. Just remember, that’s exactly why you hired someone to help you! My job is to guide you and make sure that you never feel alone. My clients are often amazed at how quickly I reply to their emails and how generous I am with giving my time and information. When you are my client, you get #1 priority over everyone else in my inbox. Think of yourself as a Super VIP because that’s how I will take care of you. Often, I will research local health food stores, meetup groups, detox options, organic food delivery and many other types of services in your local area. If you’re planning a trip, I may suggest some places to stop and see along the way (because I’ve traveled a lot so I’ve probably been there myself!). If I know someone personally to connect you to, I will do that too. In essence, you are tapping into my own personal encyclopedia of detox and natural health information that’s been accumulated over the last 20 years. With me, you get so much more than ordinary health coaching. A common complaint that I get from clients is this: “My nutritionist told me to take XYZ but I don’t really know why” or “I asked my naturopath about the XY detox and they never really explained or answered my question.” It’s really frustrating to pay someone to help you and then not understand what they recommended or to ask a question that was never fully answered. I’ve been there in my own journey from sickness to health, so I can definitely relate! And believe me, you will received the exact opposite with me. Finally, you will get to understand why this happened and why that supplement didn’t work and why it’s a better idea to take that one together with something else, or on its own, or do that detox first and then do the next step. I explain everything in an easy-to-understand way, because I know that the more you understand why you are doing something, the more likely you are to actually do it. Many of my clients remark that I am the first practitioner who was ever able to explain their entire web of symptoms, and that they felt so empowered and full of hope for the first time, ever. It’s very common for me to receive an email months after working with someone with a simple comment such as, “Working with you changed my life and I just want to say Thank you.” I feel blessed when I read such a mail. It’s truly my honor and pleasure to be part of your journey and to see you reach your highest potential – with great health. I’m sure you never expected life to be so stressful, busy…and complicated. Even with the best of intentions, it’s a struggle finding time to do the basics every day. So how can you possibly fit it even more? You may have already thought, “I want to change and do more for my health when I have more time.” Well, I’m here to tell you a little secret: There will never be more time. There is just not going to be a day when the heaven opens up from the skies and clear your schedule so you easily have time for meditation, yoga, juicing, power walking, time with family, smoothies, experimenting with new raw food recipes AND reading all the latest health books AND watching all the new nutrition and detox DVDs. What you are facing is so huge that it’s easier to just keep saying, “I can’t” or “next week, next month or next year.” BUT, there is a serious problem and consequence to putting every else first and putting off your health, because you run the very real and serious risk of losing your health. From there, it’s a much longer road to get back to living life again. Believe me when I say that you do not want to learn the hard way, and I don’t want you to take that road. Web developers – Retired persons – TV personalities – Members of the royal family (yes!) – and….you! YOU can benefit from having the professional support of a health coach to achieve your goals. You might be thinking….ok, this sounds like what I need, but now I’m confused! What do I need? 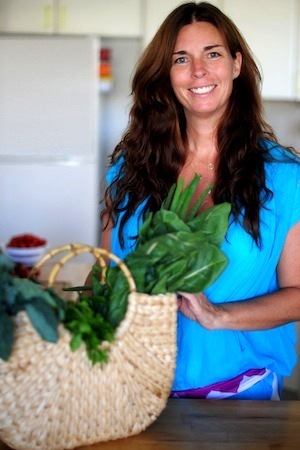 Iridology with Jennifer or a Health Coaching package? An Iridology session is like giving you the map at the trailhead. I write everything down for you, explain the path, warn you in advance of some pitfalls you may encounter along the way and give you a clear set of instructions (directions) to follow. Then, I wish you well and you proceed to walk the trail on your own. If you have questions along the way, you can contact me by email (I hope you get that we’re not really on a trail in the wilderness here – this is just an analogy so there can be emails in this story!). If the idea of that sounds comfortable to you, then a 1-session Iridology by email or Skype is perfect. A Health Coaching package works like this: Your first session is the meeting at the trailhead where you get all the information about the trail, same as above. The Iridology is going to literally map out the best route for your path to health. But with this package, I am also walking the path with you as your guide. You have more support, more expert advice and someone to keep you stay on track if you start to veer of course. You’ll get so much encouragement that the thought of quitting will simply fade away. After you have blazed your own trail, not only will you gain your health back but you will also have the confidence to continue hiking on your own. Imagine that person….yes, it can be you! As your Health Coach or Guardian, I’m really your Hiking Guide and your Trail Buddy..and my job is to get you to the summit safely (and hopefully with some fun moments in there too!). Do you need 2 months to a NEW you or 6 months TOTAL reboot? Q: Do you need a 2-month package? This is best suited for one symptom and imbalance of 6 months or less. You get: 4 Live 55-minute Calls + 4 Follow-up emails + 4 Recordings. The cost is $408 USD (that breaks down to $102 per session). Q: Do you need a 6-month package? This is best for multiple symptoms or health problems for more than 6 months. You get: 12 Live 55-minute Calls + 12 Follow-up emails + 12 Recordings. The cost is $1111 USD (that breaks down to $92 per session). 1. Pay for your package and pick a day & time to meet. Once you pay for your Health Coaching package, I’ll send you an email to ask about sending your iris photos and setting up your first appointment. Pick a day and time that can be available on a regular basis, for example every other Sunday at 4pm. Please note: I currently see Skype clients on Tuesdays and Sundays. For local clients, I take appointments on Thursdays and Fridays. 2. Schedule your first session. Your first session is the Iridology Analysis. During this session, you can share your health goals with me. Then, every 2 weeks, we meet for another session. This is your chance to tell me what works, what doesn’t, how you feel and what your own goals are for the 2 weeks ahead. I’ll be there to listen and support you and also make suggestions and encourage you with new tasks and some “homework” (maybe a book to read or a DVD to watch). We’ll talk about recipes, food prep, time management, emotional health, any social pressures, exercise and detox (if needed). We meet over Skype or phone…(don’t worry, I see clients all over the world!). If you live in Asheville, NC, we can meet in person (yay!). 3. Get your summary & action list (what to do). After each session, I send you a video recording of the call AND a summary email of our session. The email is something that all of my clients love! In each email, I outline your achievements and map out the milestones ahead. My clients say that the emails always make them feel really good about where they’re at and they always feel more encouraged and focused to stay on track. 4. Email me with questions or concerns in between sessions. In between sessions, you can contact me by email with questions or concerns. Each package does have a limit on the number of emails you can send, and that’s mainly because a few clients in the past took advantage of my good nature and sent me over 100 emails with questions after only 1 session. To make your expectations clear and to set fair boundaries for me, I decided to set limits on the number of emails I will answer for you. If you need unlimited support, that’s an option, but the rate is much higher. Please contact me if this is something you want and I can give you the details. 5. Choose when you’re ready to hike alone! At the end of your package, you can decide if you’d like to book more sessions. Most of my clients will book another package if they have specific health goals that they are trying to achieve, such as weight loss, sports training or healing from a chronic dis-ease. Personalizing all of your recommendations according to your unique iris analysis. Supporting you to stay on track to not fall back into any bad habits or destructive behaviors. Offering replacement foods and transitional foods to help you make realistic change. Working with you, at your own pace, to achieve your health goals. Teaching how to improve the quality of your diet immensely but still stay within your budget. Helping you deal with social, family and emotional pressures when making changes. Advising where you may be deficient nutritionally and helping you high-boost your vitamin and mineral reserve. Determining where there may be areas of toxicity or inflammation and suggesting specific detox protocols to correct the imbalance. Suggesting herbal or dietary supplements in times of injury, imbalance or illness for short-term use. Highlighting your strengths, encouraging you at each milestone and guiding you to stay on track for your long-term success. Imagine yourself in a perfect state of health. How do you feel? Being a great ‘coach’ means being able to teach others to think in new directions. My understanding of this helps me to work with you in a way that is supportive, caring, informative and enlightening. Contact me for more details on my 2-month and 6-month Health Coaching programs. For feedback and client comments, go to my Testimonial Page. A healthy balanced digestive function will ideally produce 2 bowel movements a day. Anything less is considered to be constipation! Don't eat when feeling stressed or anxious...at that time the liver will have to work harder to digest the food. Can you increase your ability to love and be compassionate to others today? How you feel is your indicator of your alignment with who you are! My body is healthy, my mind is brilliant, my soul is tranquil. 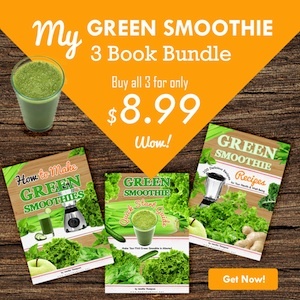 Get my Green Smoothie book bundle only $8.99! Detox Craze – Is it good, bad or just hype? Which is better: Blending or Juicing? "It’s more important to find imbalances in your body & restore balance, rather than name a disease & match a pill to the ill."